North Luffenham Little Saints Pre-School is located at the The Community Centre and is open from 9am to 3.30pm. Wrap around care available from 7.50am-6.00pm. Please contact gemma.cutmore@northluffenham.rutland.sch.uk or 01780 720184. 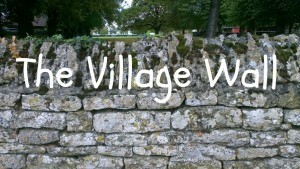 A Day Nursery is run at Keepers Cottage, Luffenham Road, Ketton 01780 721880. The St Mary & St John CEVA Primary School is a Church of England Primary School and also a Community Centre which serves a number of villages. The Headmaster can be contacted on 01780 720184 or via head@northluffenham.rutland.sch.uk. State secondary education is provided by Uppingham Community College, although there are also two other colleges Catmose College in Oakham and Rutland County College. Post 16 education is provided by Rutland County College. There are independent schools in Oakham, Stamford and Uppingham. North Luffenham has a no. 12 bus service which runs every 2 hours between Uppingham & Stamford. Please visit the Rutland County Council local bus services for more information on the routes and timetables. The Parish Church of St John the Baptist is one of a group of 10 Churches which make up the Rutland Water Benefice in the Diocese of Peterborough. All the services are published in a monthly Parish Magazine which is delivered to every house in the village. The main Methodist church is at Barn Hill, Stamford. The Roman Catholic Church is St Joseph in Oakham. The Community Centre is used by a number of groups during the week. The Community Centre can be hired for social events on application to the School Secretary on 01780 720184 or via office@northluffenham.rutland.sch.uk. The Parliamentary Constituency is “Rutland and Melton” and the MP is the Rt. Hon Alan Duncan, Conservative. Located at the end of Jubilee Close, off Church Lane in Edith Weston.